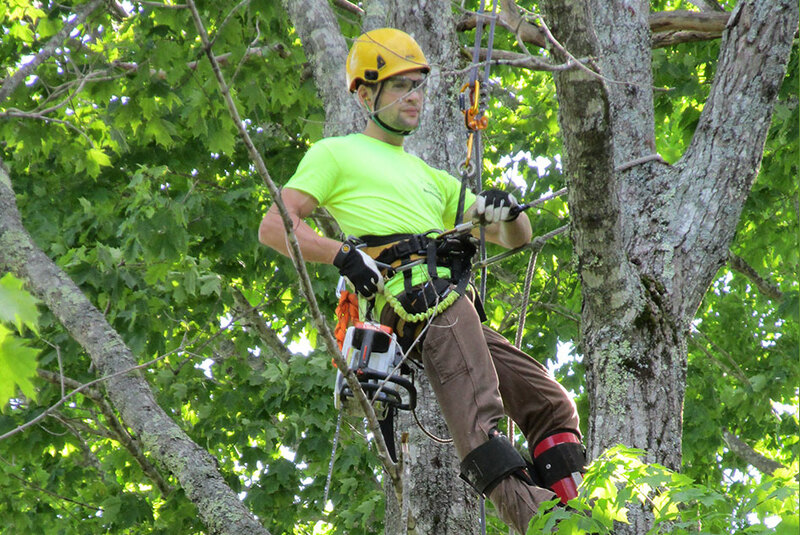 Maine Tree Solutions is here to help you with any of your tree removal needs. Because we specialize in climbing we are able to service your property year round and offer the least invasive procedures to complete the job. Pruning is a common tree maintenance procedure that has three major functions: to improve the health of your tree, to improve the aesthetics of the tree, or for practical and safety reasons. Lot management can include selective thinning, lot clearing, or debris cleanup. No matter what the situation is we can help manage and improve your wood lot to meet your needs. Cabling and bracing is used as supplemental support systems in order to reduce the risk of weak branches and stems from failing, and causing possible damage. Some trees, due to their health or location may need to be removed for safety or other reasons. Climbing and removing these trees is what we do best!